I simply LOVE the Baby Surprise Jacket that Elizabeth Zimmermann designed in 1968. When you’ve gotten used to reading the instructions it’s simple and fun to knit and the result is brilliant! 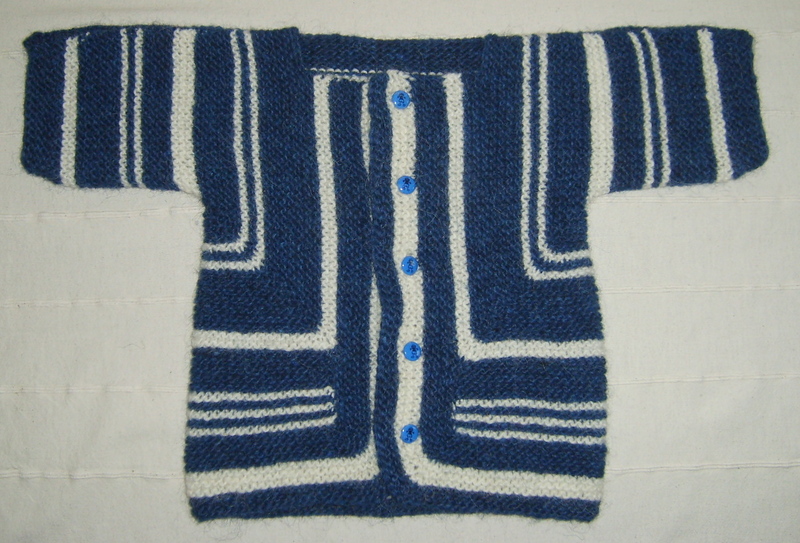 A piece that doesn’t look like anything you’ve ever seen turns into a beautiful baby jacket. I love to try it out with different types of yarn to make different sizes. 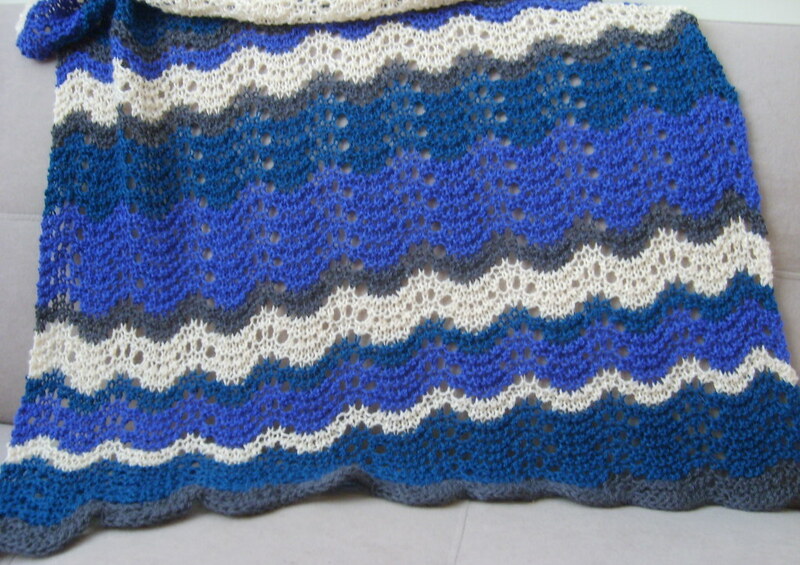 This is my latest BSJ, in blue and white for my newest nephew. My Little Blue BSJ on Ravelry. 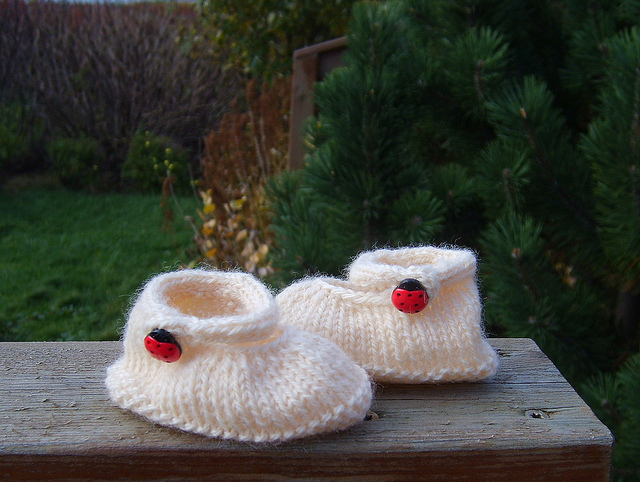 Posted in knitting and tagged baby, gifts, lopi. Bookmark the permalink. 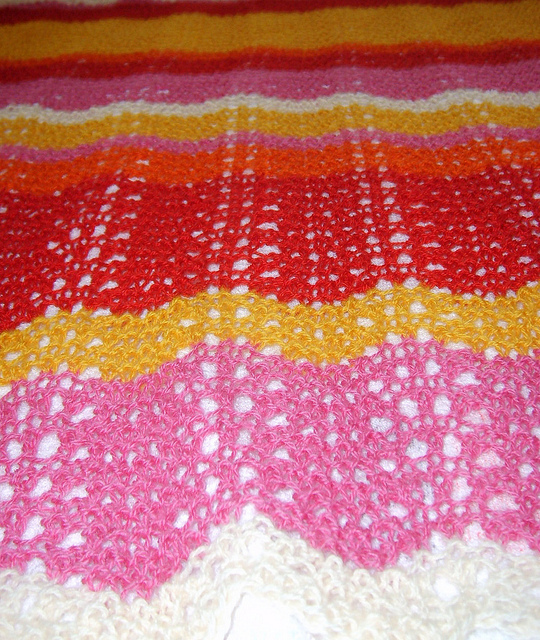 Just finished one Bring-it-on-baby blanket from Pickles.no and have casted on for another one! The one I finished is for a little boy due very soon. My little boy blanket on Ravelry. Posted in knitting and tagged baby, FO's, gifts, Kambgarn. Bookmark the permalink.